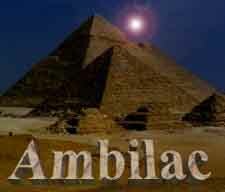 The list below, with interactive links, gives you access to all the ambilac articles published on the internet. Also included are a few of the earlier articles that for some reason disappeared off the internet. In this case they have been re-loaded from the original disc. The list starts from the latest articles published. A number of these articles have been lodged in a server file as many were from the old main ambilac.com site which was deleted some years ago..if you are unable to open any selected files, please email me and I will foward a reference link. And for those missing 1998-1999 articles - go here!